Southern Loggin’ Times’ March issue spotlights Georgia’s Mike Harvey, the owner of Harvey Logging Inc. who has developed a tried and true on-the-fly mat technique that allows his shovel logging operation to run smoothly. 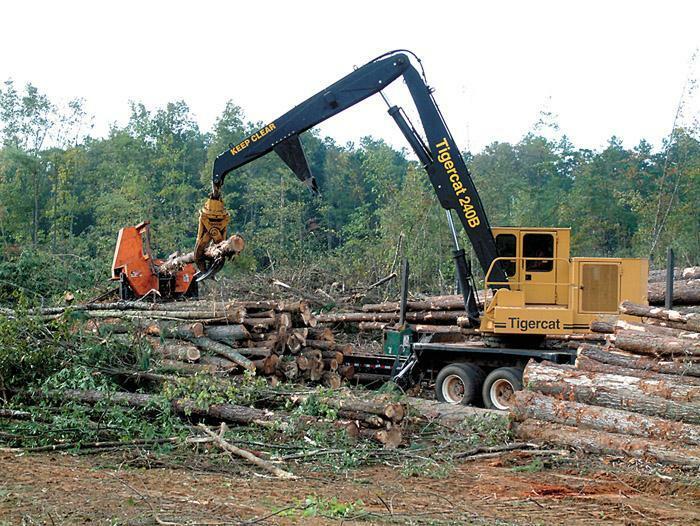 Also featured are Ga.’s Moore & Crowell Logging, where brothers keep things moving for the family business, and Ky.’s Chris Terry, a dedicated logger who takes on protestors and workers’ comp issues. 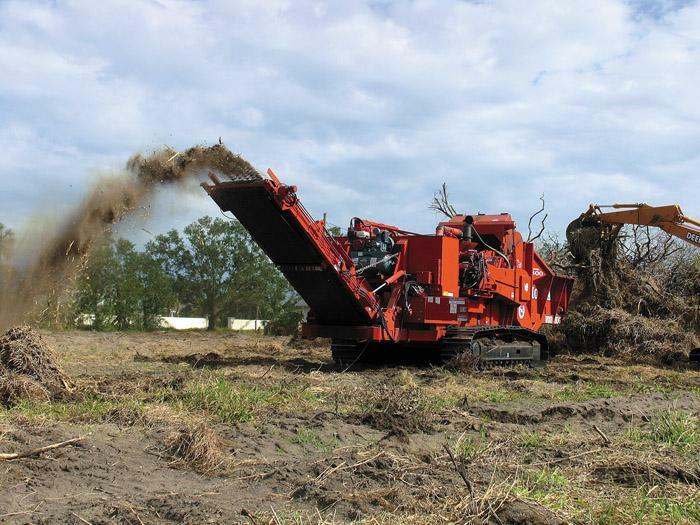 Fla.’s Sunshine Land Design is highlighted since, after enduring the theft of a grinder from a job site, the company was able to improve the material processing facet of its operation. Continue reading the serialization of Red Hills and Cotton. 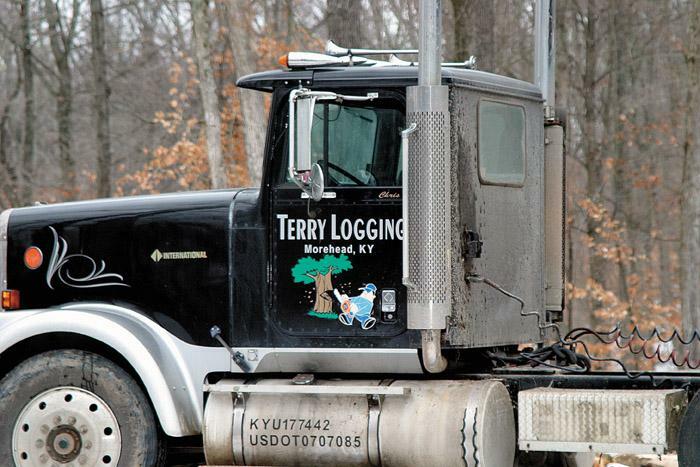 They pick on each other like brothers will, but when it comes down to logging, Terry and Jimmy Moore are true businessmen. 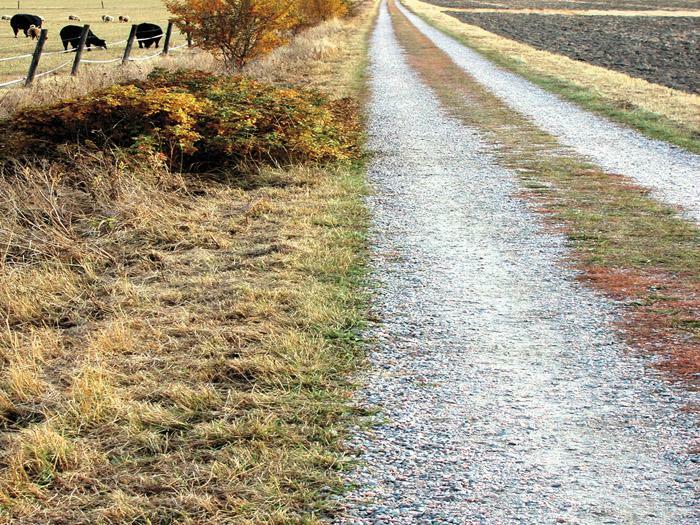 They’ve worked the area around here most of their lives, learning the ropes from their father and his founding partner (Moore & Crowell Logging). My own kinfolks have never written much about themselves. They have been talking people, and people who talk the entire time seldom have the art to write. Talking and writing are mutually consuming gifts. 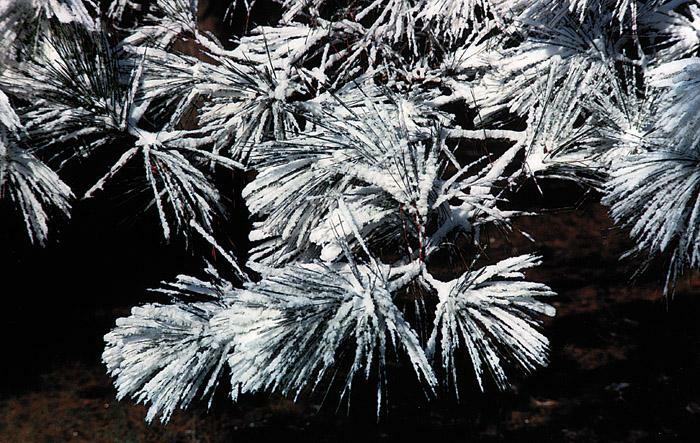 For 30-year-old logger Chris Terry, last night’s snowfall and low temperatures are a blessing. They mean that the ground will be hard enough to log, after a week of rain and mud. His crew lacks only a few weeks to finish salvage operations on state land, before it’s onto the next tract. One of the oldest adages around says that everything happens for a reason. And although it is hard to accept at the time, an unfortunate event can often turn out to be the proverbial blessing in disguise. The weather is a subject of conversation everywhere you turn. It often opens conversations at work, the local greasy spoon or grocery store. We talk about the weather so much because it influences our lives in so many ways, from our health, how we spend our money, work conditions and what we wear on any given day. Blount will conduct its popular Prentice Loader Championship at the Mid-South Forestry Equipment Show September 9-10 near Stark­ville, Miss.Loader contestants pay an entrance fee of $5. The company will then match the total amount raised and contribute it all to the Children’s Miracle Network. 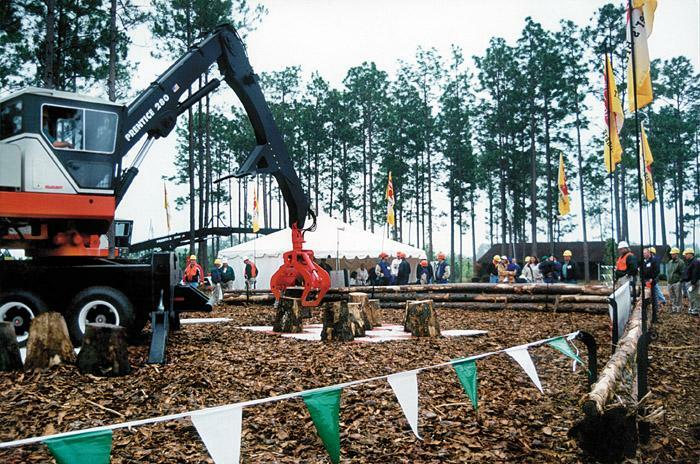 Our cover story 15 years ago this month was J. Crawford Logging, Inc. of Union, SC. James Crawford and his four sons were running a mechanized operation that at the time was working a John Hancock tract of Hurricane-Hugo damaged plantation pine. 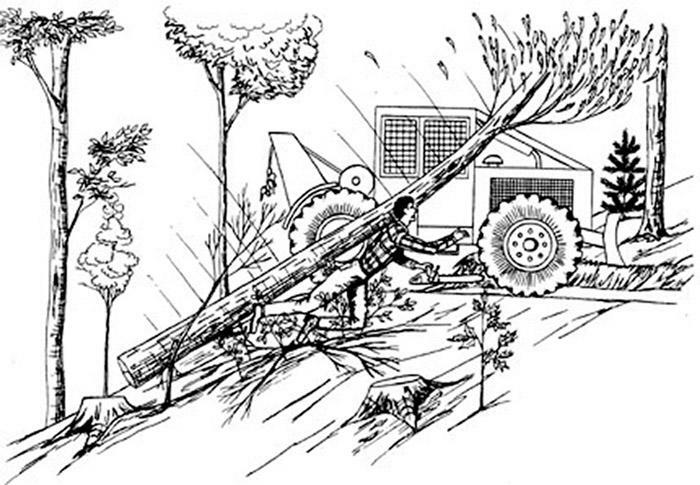 On a summer morning in the Appalachians, a timber feller was attempting to cut an uphill-leaning tree in a downward direction. The 48-year-old timber feller had been cutting timber for at least 25 years. He was not wearing any personal protective equipment, and he had not participated in any formal logging safety training program. 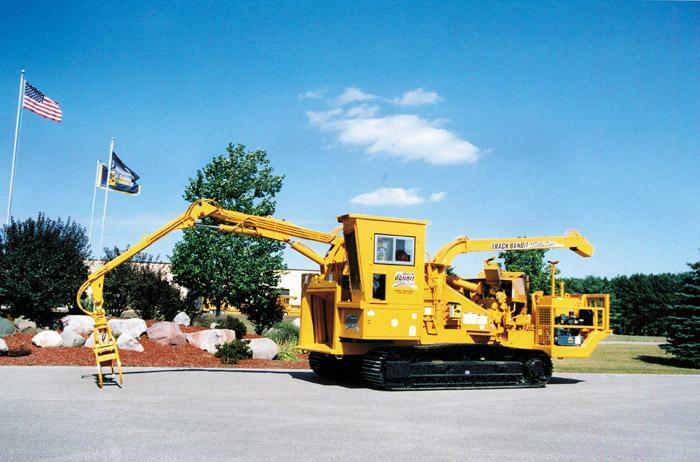 New to the whole tree scene is the 24" capacity Model 2400 Track Bandit—the largest self-propelled, hydraulic feed, disc style whole tree chipper available. Its five wheel hydraulic feed system consists of two horizontal and two vertical wheels with an added top wheel set on a diagonal.